Paul Ajosshi: "Please Sir, Spare A Penny." I admire some mannequin displays, others make me feel just a little sad. 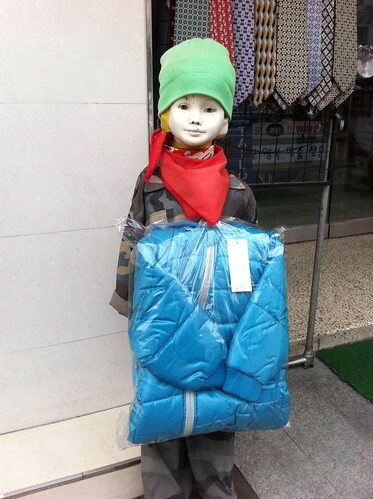 Won't somebody help this poor child in Itaewon? I might consider giving it a penny if it agrees not to HAUNT MY NIGHTMARES. Looks well clothed to me. Maybe needs a day in the actual sunshine...if the clouds will clear up around these parts.